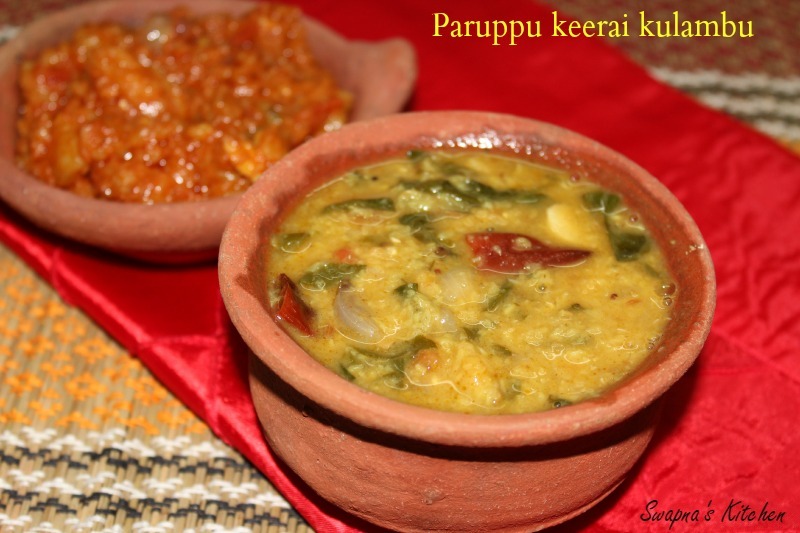 Paruppu keerai kulambu is a traditional ,healthy recipe with the goodness of dhal and greens.You can use any greens of your choice and for dhal use either toor dhal or moong dhal. Remove the roots and wash the greens well.Chop the greens with the stem parts. 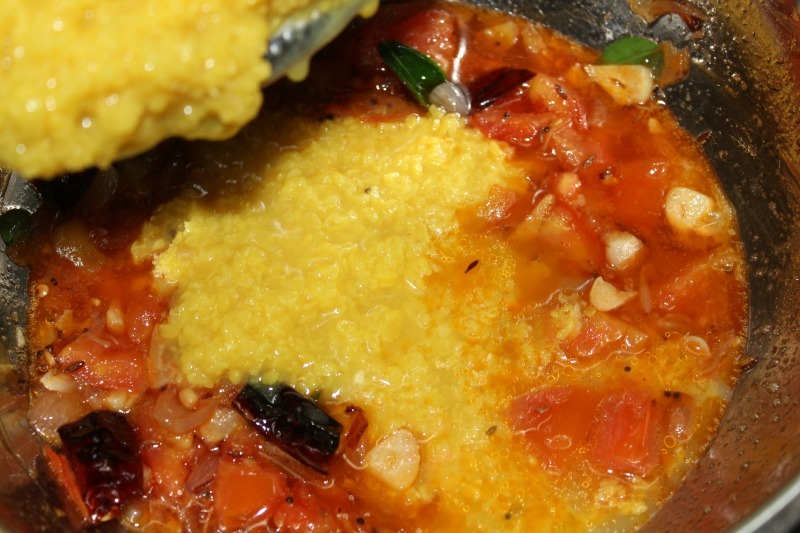 Soak the moong dhal in water for 15 mins and then pressure cook with 1/2 tsp turmeric powder for 2-3 whistles. Heat oil in a kadai,add the items under ‘to temper’.When they splutter add the onions,garlic,red chilli and saute until the onion turns transparent. Then add the tomatoes and saute for 3 mins on medium flame,stirring occasionally. 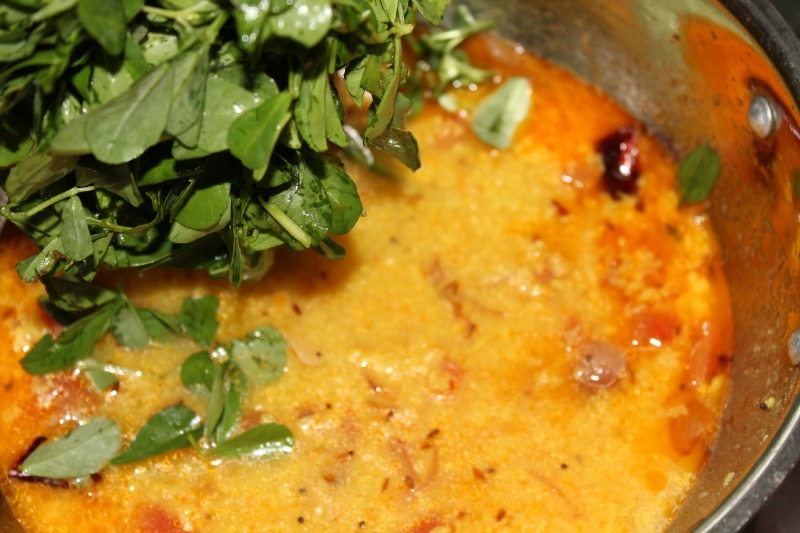 Add the cooked moong dhal. 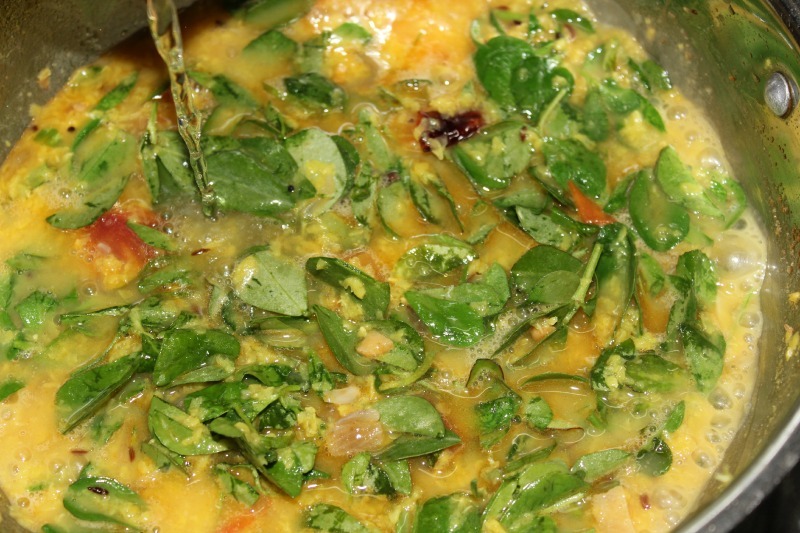 Now add the greens and water.Add turmeric powder,cumin powder and salt. Add water as per your need for the gravy. 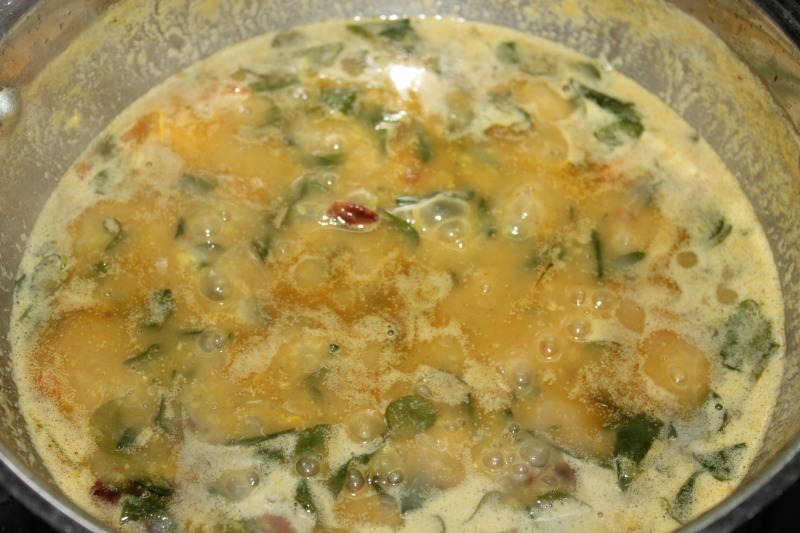 Bring to boil and then simmer the flame to low.Cook for 10- 15 or until the greens are cooked completely. 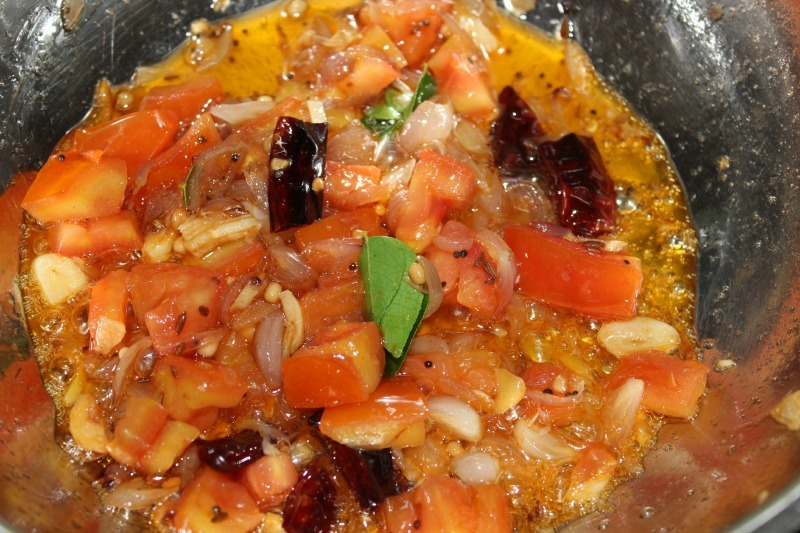 Serve Paruppu keerai kulambu hot with steamed rice or chapathi with little ghee. MMMMM,..This recipe looks smashing & so wonderful too! Yum!